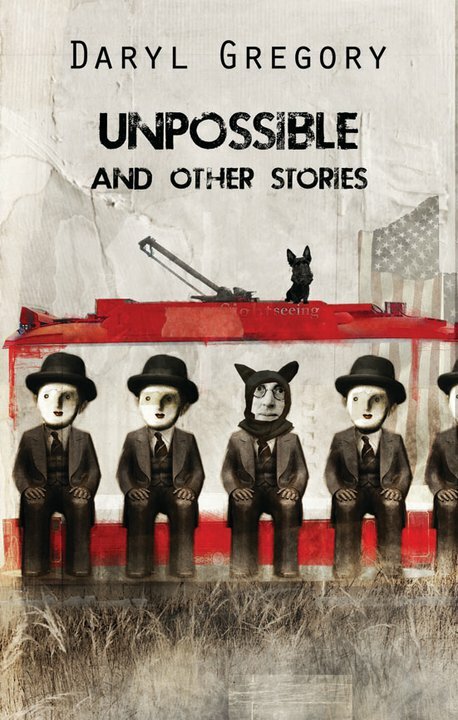 Patrick Swenson, the man behind Fairwood Press, has just released the cover for Unpossible and Other Stories, my collection of short stories that he’ll be publishing this fall. The cover is very cool, which makes me happy, and therefore calm. Cover by Antonello Silverini. Click to enlarge. We recruited Antonello after seeing the beautiful job he’d done on the cover for the Italian version of Pandemonium. Love this man’s work! Check out his portfolio at antonellosilverini.com. I’ll have more news on the collection as we get closer, but I can tell you this: We’ll be launching the book at the World Fantasy Convention in San Diego this fall. Why that looks nothing like I expected it to… I love it! Offline, Mr. YetiStomper wanted to know if Ralph Wiggum inspired the title. And I will be buying one in San Diego. I guarandamntee it!